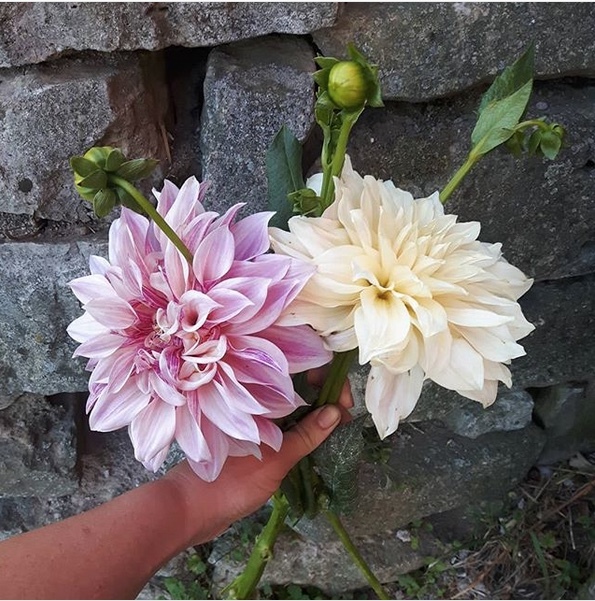 Both of these lovely ladies are Cafe au Lait dahlias. Cafes range in colour from ivory to streaky dark pink, and everything in between. So when you order cafes, you may get a range of colours. But don’t worry- they’re all beautiful and all unique. Mother nature paints with all the colours of the rainbow.